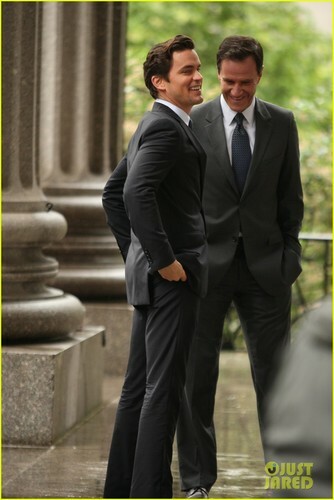 Matt Bomer: 'White Collar' Boogie. Matt Bomer: 'White Collar' Boogie. HD Wallpaper and background images in the 맷 보머 club tagged: matt bomer. This 맷 보머 photo contains 신사복, 비즈니스 정장, 옷 한 벌, 한 벌, 옷, 양복, 정장, 세 벌의 양복, 3 피스 슈트, and 3 개 조각 한 벌.